Edirol has announced a new field converter and updates to their field recorder line. The idea: manage SD and HD content on the road, live, recording and converting to whatever you need. I can imagine this could provide some serious power for the pro, gigging visualist. The new VC-50HD provides bi-directional conversion between SD/HD-SDI to and from DV and HDV and MPEG-2. That means you can capture video easily in HD or HDV, backup videos, archive live performances, record to Blu-ray – whatever. The F-1 field recorder, now updated to version 2.0, is even tastier. 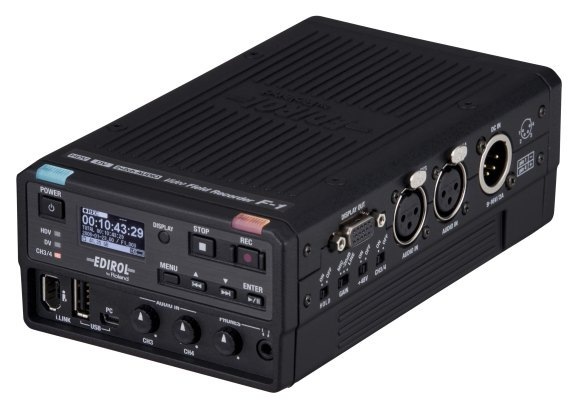 It does for video recording what Edirol’s well-liked mobile audio recorders to for sound. You can now capture video at selected periods, automatically deleting old files as you hit capacity, record loops, mark time, and record directly onto removable hard drives in HDV or DV. FireWire and such are onboard, plus two channels of balanced audio. I can see just racking this sucker up in a live concert situation and rocking out. You can even remote control it via LAN, review clips on the unit, adjust RGB directly … replace “field” with “touring” and I think you’ll see what I mean, especially with the added recording features. There’s even a solid state option. The units aren’t cheap, of course, but if you can’t budget for them now, you can file them away as gear-to-ask-for-money-to-buy on the right gig.